If you’ve landed here, it’s likely that you know the dangers of EMF radiation. I’m sure you’re also concerned about how much radiation is being emitted from your home WiFi router and want to do something about it. 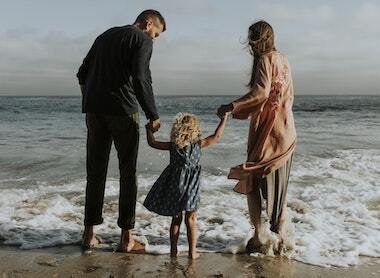 Luckily, there are a few options that we’ll talk about, specifically one low-emf router that actually inherently emits far less radiation, while still providing a high-quality wireless connection for your home, more on that in a minute. Finding a low EMF router is nearly impossible, but in this article, we’ll talk about one good option. Let’s start by just talking briefly about why you should even care about WiFI radiation. Let’s talk about some of the ways that Wi-Fi (which is simply Radio Frequency radiation, a form of EMF), can cause damage over time. I won’t cover everything, as I already have a full post on the dangers of Wi-Fi you can check out. However, for the purposes of understanding why a low-EMF router can be such an amazing tool, let’s cover a few. This is one of the primary ways that radio frequency radiation affects our bodies. In fact, I recently wrote a fantastic guest post detailing how EMF radiation harms our bodies on a cellular level. “Every second, our bodies produce 2 million new blood cells. Since our body is constantly producing new cells, any sort of stress on the body impacts how well those cells are created. Within the cell membrane of our cells, is a small receptor. Although these receptors typically receive chemical signals from the body, they are also capable of receiving signals from outside influences. Inhibits the ability of our cells to absorb healthy nutrients. If you’re curious about the rest of the story, feel free to check out the guest post that I wrote. If you haven’t already, you should consider checking out my post on iPhone radiation. Inside that post is some fantastic information about studies relating to radio frequency EMF radiation and increased cancer risks. Although many of these studies show increased tumor rates in the brain from cell phone use, many also assign risks more generally to radio frequency radiation from any source. Although cell phones are generally more dangerous because of the proximity we hold them to our head, Wi-Fi radiation exposes us to increased radiation constantly throughout the day. One of the things that science and research have taught us over the past decade is that the damage from EMF radiation exposure is cumulative, which is why a WiFi router can be so dangerous. Limiting use of WiFi in primary schools to only be used when it is absolutely necessary for educational purposes. Mandating signs for areas with WiFi such as coffee shops etc. Some countries are taking smart steps to protect their population against long-term exposure to EMF radiation. However, countries such as the United States, with powerful lobbies and corporations, are far behind in these types of protective public policies. Alright, now that we’ve covered a little bit about why it is dangerous, let’s talk about a few of the unique solutions there are, starting with an exciting low-emf router. Afterward, we’ll talk about a few other ways you can reduce radiation exposure from your WiFi router. 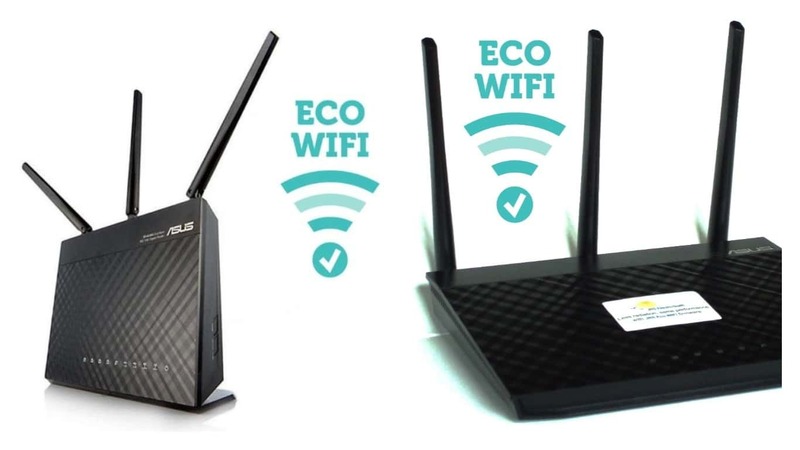 There is an exciting product on the market, called the JRS Eco-Wifi Routers. Essentially what they are is high-quality routers made by Asus (I’ve had many of their routers in the past) that have specifically programmed firmware developed by JRS installed on them aftermarket. It does all of this without really limiting the range or ability for the WiFi to function. You will still be able to operate all of your WiFi devices as normal, with a strong connection, while being exposed to far less EMF radiation. How Is The JRS Eco-WiFi Router Able To Accomplish This? The proprietary JRS software that is installed on the Asus routers alters the way they function. First, the software reduces the pulsing frequency of the device. Second, the firmware alters the pulse strength, or transmit power of the device. your normal WiFi router pulses at 10Hz, or 10 times every second. If you were to take an EMF meter like the Trifield TF2, or an Acoustimeter, and turn the volume on, you would actually be able to hear this happening. With the JRS Eco-WiFi firmware installed, the router will emit the same signal, but at 1Hz, or only one time every second. This ultimately results in a 90% reduction in EMF radiation coming from the device. Next, the JRS Eco-WiFi router is altered so that it allows you to set the transmission power for what you actually need, instead of just blasting at full power all the time. For example, if you live in a small or medium-sized home, you likely do not need a router that is transmitting at full power. This would just be exposing you too much higher radiation for absolutely no gain, as it is pushing the WiFi much farther than you actually need it. With the JRS router, you can test connection strength, and alter the transmission power to actually fit the size and structure of your home. How Was The JRS Low-EMF Router Invented? A Dutch electronics engineer by the name of Jan-Rutger Schrader (hence the JRS) invented the product. Dr. Jan-Rutger obtained his Ph.D in electrical engineering and began working for a large company helping them develop circuitry boards for the latest cell phones. After working for this company for some time he noticed ill effects from being around EMF radiation so much. As a victim of Electromagnetic Hypersensitivity (EHS), he began to understand just how important it was to find solutions that allowed people to continue using their devices while lowering their exposure to EMF radiation. Around 5 years ago he founded the company JRS Electro Health, that offered EMF measurement and advice to people. The company also invented the low EMF router that we’re talking about today. What Comes With The JRS Low EMF Router? Like we talked about above, you are essentially purchasing a modified Asus router. So with the package, you get a new Asus router, with the JRS Eco-WiFi firmware already installed and set up. You can purchase three variations of this router depending on your need. Each of the three routers offers essentially just more power and capabilities, while still having the JRS software installed to reduce the radiation. So depending on the size of the home or workspace, you can get the device that best fits. There are a few things that you’ll want to do when you first get the device. The first one, and probably the most important in my opinion, is set an automatic deactivation time. This is unique to the JRS firmware and saves you from having to buy a mechanical timer outlet. Essentially what you can do is go to the menu of the software, and set what time you want the WiFi to be off for, say from 10 PM – 6 AM or something. This way, even if you forget, the WiFi will be automatically switched off at night saving you from a ton of cumulative EMF radiation. Next, go ahead and set the transmission power of the device to your needs. This one will take a bit of testing. When the JRS Eco-WiFi router first arrives, the transmission power will be set to 30mW, but it can be lowered all the way down to 1mW depending on your needs. What you’ll want to do is set up the Router as far away from your living spaces as possible, and then test your connection. Adjust the transmission power just beyond what is needed to stay connected. Remember that when it comes to EMF radiation, distance is one of the absolute most important things. As we double our distance from a source of radiation, we quarter our exposure to it, so try to keep it as far away as possible. Is A Low EMF Router Right For Me? Honestly, the best option to have internet without exposing yourself to very much EMF radiation is to just set up a simple wired connection. Essentially all you need to do for this is disable the WiFi on your home router, and just run ethernet cables from the router to your computers. This will give you fast reliable internet without any radiofrequency radiation exposure. However, obviously, you won’t have the convenience of being able to connect your devices anywhere in the home. So, if you do want to have WiFi in the home, this router is absolutely the best option for you. It essentially allows you to maintain a strong WiFi signal with the absolute minimum amount of EMF radiation in your home. I also absolutely love the built-in WiFi deactivation feature, as I believe turning your WiFI off at night is a fantastic idea. 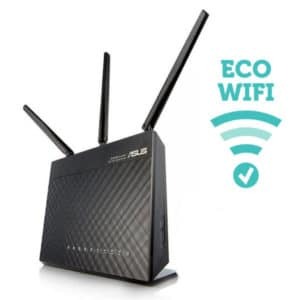 Even if you plan to have hardwired internet in your home, the JRS Eco Routers might be a great option for you. You can still set up hard-wired internet in your home, but if you are ever wanting to have WiFi for guests, or for a certain event, or just to turn on occasionally, you will have a simple and safe way to accomplish this. If you’re wanting to purchase a JRS Router, you can get them directly from JRS Electro Health. They ship internationally and all of their products come with a 2-year warranty. To learn more about these routers, take a look at this video from Lloyd Burrell. There is one other fairly inexpensive option that works quite well, and that is the Router Guard. Essentially the router guard is a shoe-box sized Faraday cage that you can put your WiFi router inside. It will still push a WiFi connection, but with far less radiation. The device obviously will also lower the range of your connection, so you’ll need to take that into account. I haven’t used this device myself, but it appears that it actually works quite well. 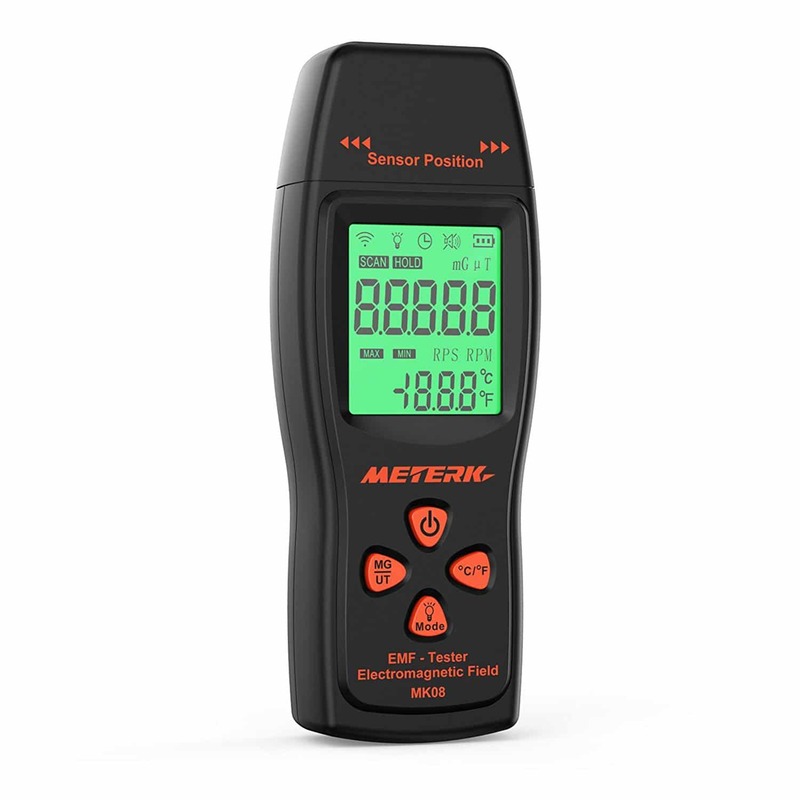 If you check out the Amazon listing for the product and scroll down a bit, right above the reviews is someone demonstrating with the Meterk EMF Meter how well the router guard works, and I have to say it looks pretty impressive. 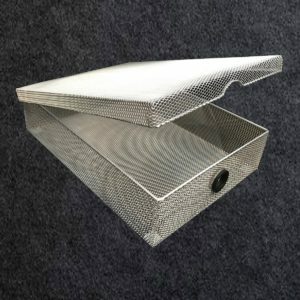 So if you’re looking for a slightly less expensive option than the JRS, the Router Guard may be worth trying. However, I certainly feel that if you are going to have WiFi in the home, getting a low-EMF router is a much better, more customizable, option. As I’ve said several times in this post, the absolute best option is to simply not have WiFi and to set up a simple wired connection instead. However, if you do plan to use WiFi fairly often, I think getting a low-EMF router is an absolute must, as the cumulative exposure from a normal router can be quite immense.